H.D. 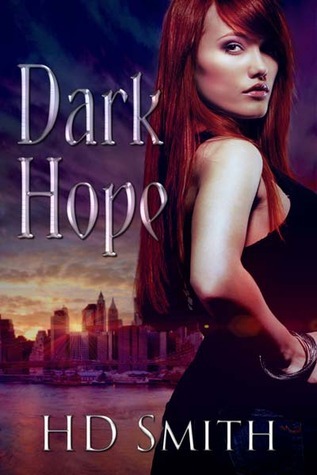 Smith is a new to me author, and I’m glad I was introduced to her latest release, Dark Hope through a blog tour. The synopsis alone caught my attention, and the fact it’s Urban Fantasy is why I wanted to read it. This book is like no other story I’ve read before, and I love when authors can create something that takes me on a wild ride I’ve never been before. Here we have the main character, Claire who is the Devil’s assistant. She has his mark due to her taking her mother’s debt to the Demon King. Claire gets caught in the crossfire of her Boss’s oldest son, Junior who ends up dead in his office. She becomes determined to find out killed him and may be in the process she finds a way to get out of her binding with the demon king. Here is when the story gets interesting, but of course I’m not going to spoil it for anyone and give away the best parts. H.D. Smith will throw Claire into several obstacles to find out the truth on why certain people want to have her as their pet and why she truly is settling a debt with the Demon King. There’s the devil himself (Claire’s Boss) otherwise known as the Demon King, the Pagan Queen (who is ruthless as anything…I hated her in the story), and the Druid King (who should be Claire’s protector…but yeah..he didn’t seem to be). These three all want to either protect, kill, torture, confuse, or stress out Claire in some way in the book. I felt terrible for the girl. That’s not all she had to deal with though throughout the book. H.D. Smith does not make it easy for Claire to find out answers in this book, but she held her own throughout the book. Claire is one tough chick, and she made the book enjoyable. I felt sympathetic towards her throughout the book because when the truth came out, she didn’t know who to trust really. The poor girl just wanted to be happy and normal. I wanted her to be happy and normal. Poor chick went through purgatory, hell, and several other places that she never wanted to go through in the book. If you are looking for a book that has lots of dark twists and turns and intense, action-packed scenes with drama, then this is the book for you. I give this book 4 full moons and recommend it to urban fantasy readers out there. This is a book that has demons, druids, and pagans that you don’t want to piss off.